Entrepreneurship is one of the best jobs in the world. Almost each and every one of us aspires to run a small business that will eventually grow and become extremely profitable. However, this dream can only be true if the entrepreneur makes smart decisions and implements sound practices that positively impact the day to day running of the business. 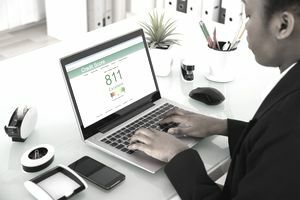 Unlike years back when many financial institutions used to base credit decisions solely on one's personal FICO score, nowadays the credit report for your business is also considered. Therefore, it is time for business owners to build and improve the business credit score for their business in to obtain the most favorable rates and terms in financing. If you ever dream of having a profitable and growing business enterprise, one of the key things is to make sure that you have a credit report that is creditworthy. Here is a breakdown of the top benefits of having a strong credit report for your business. One of the easiest options to get out of a financial crisis is applying for a loan from a bank or seeking alternative funding options. Unfortunately, not every business that applies for a loan is approved. Why? One of the many factors that impact credit approval is the information or lack of information in the company' credit report. Thus, to get quick loan approvals for your business, you must strive and ensure that your business credit report is well established and positive. The stronger the report, the faster the loan approval! As someone who runs a business, you might need extra room for expansion purposes. Besides this, you may want to completely move the business to a new allocation. You are obviously going to rent office space in both situations. However, a bad credit score for your business may ruin your chances. This is because many landlords have adopted the use of business credit reports. They first scrutinize your business credit score before allowing you in. If you have a solid credit rating for your business, then you won't have a difficult time leasing office space. Your good credit score shall save you at such times. When an entrepreneur starts a business, the future of the business is never known. If by good luck the business prospers, there are higher chances for other entrepreneurs to come in and want to form a partnership with you. This might not happen though when the business has a low credit score. On the other hand, due to a chain of financial struggles in the business, an entrepreneur may want to sell it off to other investors. A business with a good credit report will be a positive factor that potential buyers take into consideration. Another scenario is when you want to expand the business. An investor will come in to boost your business only after verifying and ascertaining that your business has a good credit report. The interest rate is one of the costs that you pay back for taking a loan from a financial institution. Nowadays, the interest rate a business owner pays is tied to the credit score of the business. If you have a good credit score, you are going to qualify for the lowest interest rates from a bank. This is because a good credit report is a sign that you repay all your debts on time. Therefore, it is good for business owners to work hard to improve the credit score of the business. Make sure that you pay all your bills and invoices on time, repay your loans and monitor your business credit report on a regular basis to correct any errors you may uncover. The credit department of banks extends loans to businesses that have strong credit scores and profiles. A favorable business credit report clearly shows that a business can meet its financial obligations. The better the business credit report, the higher the loan limits that your business may qualify for. This means that you will be able to apply for financing in order to gain access to credit. Work on your business credit reports now and enjoy all these benefits among many others.